I’ve been sat out in the breezy sunshine, ambling contentedly through the John le Mesurier biography, when a small voice from somewhere within (slightly off-centre, it has to be said) prompted me to come up to the computer and do a little more sharing. “Open your heart to the good PP readers…” it said. Do you really think that’s wise? Actually I’ve been meaning to post something about this for a while, because I’ve had this pretty much on continuously in the car for the last couple of weeks. 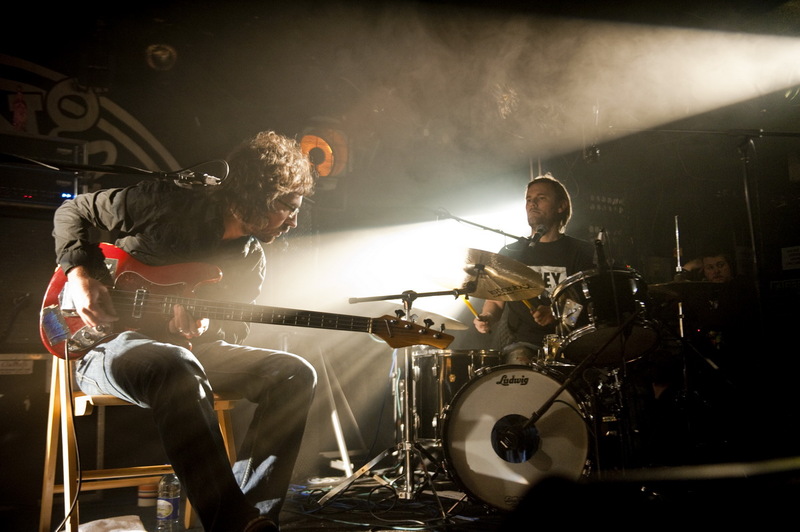 Missed them completely at the time, but Beak> have been around as a unit for a couple of years now and centre on the elusive talents of Geoff Barrow. There’s no obvious resemblance, however, between the motorik charms of Beak> and Barrow’s more legendary achievements with Portishead. I did love the Portishead records with all their distraught gothic brilliance, but they do seem rather “of a time” these days.